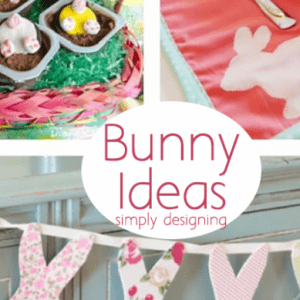 Welcome to Day 5 of my SPRING CLEAN WEEK here at Simply Designing! Today I am really excited to have Melanie from Reasons To Skip The Housework here with a fabulous Printable Spring Cleaning Checklist! This checklist is totally do-able and also super cute! 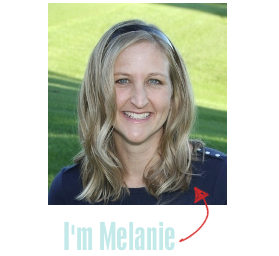 Thanks so much for sharing Melanie! I’m so lucky to be visiting Simply Designing today! Ashley is one of my new bloggy friends, and I can’t believe I’m posting here! I’ve stalked her blog for so long! I’m Melanie and I blog over at Reasons To Skip The Housework. I share recipes and crafts along with an occasional parenting tip or funny story! I’m a mom to almost 3 year old Sami – who keeps me plenty busy during the day. I blog at night and craft during naptimes. I host a Tuesday Blog Party, Tuesday Time Out, and would love to have you stop by and link up your creations at our next party! To contribute to Ashley’s Spring Cleaning series, I knew I had to put together a checklist of things I’ve done in my own house for Spring Cleaning – because when cleaning happens in my house, it’s celebration worthy! When I searched Pinterest for a Spring Cleaning Checklist, I found a plethora of checklists alright. Mostly, I found the MOTHERLOAD of all cleaning checklists. You know the ones….they have 150 items on the checklist and will take a full week of NO KIDS, NO HUBBY, and NO ANIMALS to complete. I don’t know about you, but that’s just NOT gonna happen in my house! Although those checklists might be fabulous and NECESSARY, I just don’t have the time. If I print one of those checklists, it will never get started because it’s just too daunting. So, I created my own lazy girl’s checklist for Spring Cleaning! Using Oprah’s Room by Room Spring Cleaning Article, I’ve put together a checklist for each room, listing the things you can do somewhat quickly – during a naptime! For me, I’ve found that doing one room per day is very reasonable! Are you ready to get busy cleaning? Here are different patterned options for you to print and put up on your fridge for quick reference! Click on images to bring up the full size image, then right click to download! Happy cleaning! Cute printable! If I get motivated to do all that stuff, I’ll have to use it as a guide. Thank you so much for these printables! They are great ! I’ll share your blog with my friends!